So you have a dilemma - you want a fence for your property, but you're a bit short on the extra cash for materials, you want to build a fence that stands out from the crowd or perhaps you simply want to choose environmentally-friendly options for your new fence. Putting some thought into your new fence plans and a little scavenging for materials can be a great way to accomplish any of these goals. 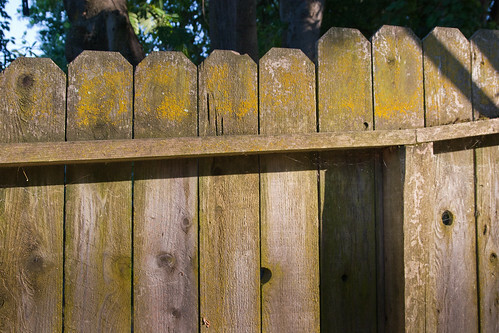 Material for wooden fencing can be acquired from a wide range of free or inexpensive sources, allowing you to build a wooden fence that is truly unique. Fallen Branches: If you live in a heavily wooded area or you've recently had a storm pass through that did some damage to the local trees, fallen branches can be a great potential source of fencing material for posts or rails. Alternately, contacting a tree service in the area and asking if you can take some of the branches left over after a tree trimming job is another possibility. Bamboo: Bamboo is considered an invasive species in some areas of the world since it grows extremely fast and is very difficult to get rid of completely. If you have a stand of wild bamboo nearby, this can be an excellent source of fencing. The upright stalks can be strung together as posts, plus bamboo offers natural resistance to moisture and insects, making it ideal for outdoor fencing. Scrap Wood: Scrap wood is another great possibility for material. Construction sites and lumber yards in particular are both great places to find scraps you may be able to adapt for your own purposes. Alternately, if you have friends or family doing construction on their property such as a room addition or demolition, you may be able to salvage some old wood from the project. Wooden Pallets: Wooden shipping pallets have had an upsurge in popularity as a material for furniture among other uses, but they are also an outstanding source of wood for a new fence since they are typically constructed from oak, making them very strong and durable. Old Furniture: See an old couch at the curb with a "Free" sign on it? More than likely, it's built on a wooden frame that you can disassemble and use as material for your new fence. Got your heart set on a metal fence but the cost of installation plus materials for a traditional iron fence is too much for your pocketbook? Old Iron Fencing: Got a junkyard in your area? You might be able to locate some old iron fencing that has been discarded due to rusting or other issues. With some TLC, even rusty iron fencing can be made into an attractive fence by dressing it up with some paint or training climbing vines to cover the worst spots, for instance. Rebar: While rebar is typically associated with building construction reinforcement, it lends itself well to metal fencing for a handy DIY type. Rebar can be easily welded or bent into the desired shapes for iron fencing that is unique and strong. Sheet Metal: Another unusual use of metal for a fence but it can be surprisingly attractive if well-utilized. For example, you might use panels of sheetmetal inset into a wooden frame and punch patterns into the metal or paint it to suit your tastes. Wire: Wire fencing probably brings up the image of livestock fencing like barbed wire, but it in fact can be used in conjunction with wood or other materials to create an attractive fenceline for your property. You might use a wooden frame and attach decorative steel or brass mesh to the frame, creating a beautiful alternative to a standard wire mesh fence. Brick and stone are naturally two of the most commonly-used materials to build fences and other property line indicators. 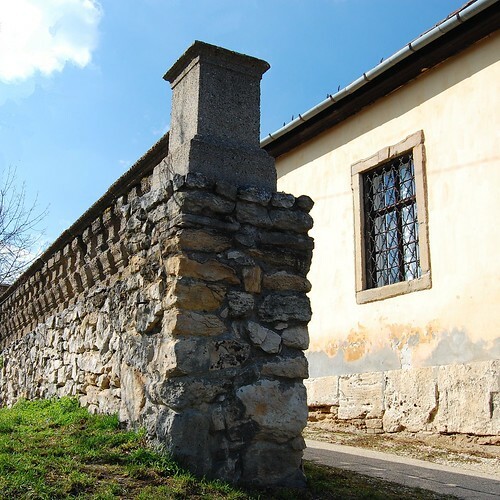 They will last for hundreds of years with little maintenance, making them outstanding as a material for fence posts in conjunction with metal or wooden rails. Reclaimed Brick: As old buildings are demolished to make way for new construction, a great deal of old brick is often freely available, plus a number of companies specialize in cleaning up and restoring old brick for re-use in new construction projects. Loose Stones: If you have a river nearby, you may be able to source round stones from the riverbed or gather them up from an old rockfall, for instance. Tile: Natural stone or brick tiles are another possibility for a unique fencing idea - you could mount the tiles on a wire mesh frame or attach them to a wooden or metal fence as a decorative accent. Justin Krutz blogs about a wide variety of home improvement related topics including fencing for GSM Garage Doors, Gates and Fences, an Oceanside garage door repair company.